It’s just over 12 months since a blonde, blue-eyed 18 year old starlet rode a wave of public support all the way to the winner’s podium of ‘The Voice’. 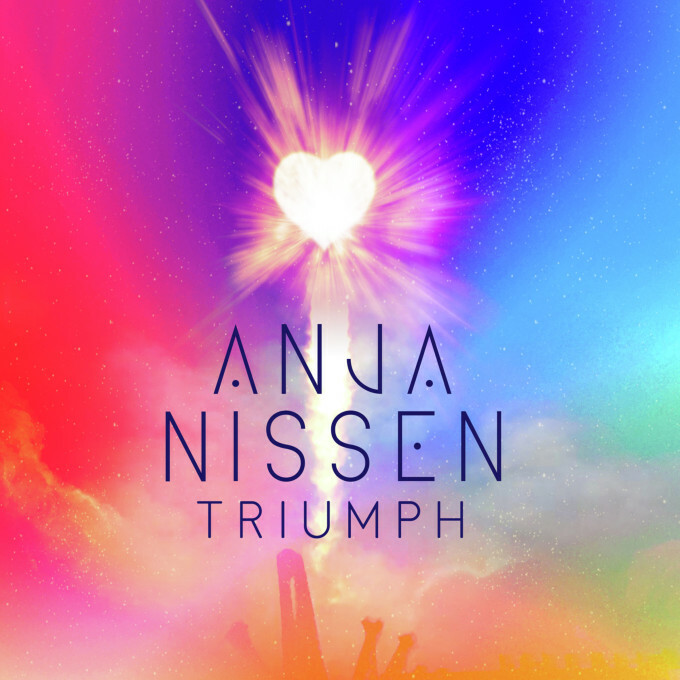 Anja Nissen was primed for success. Mentored by super producer and Black Eyed Pea Will.I.Am, she was ready to take on the world after the show. But a winner’s single never eventuated and her collaboration with Will, ‘I’m So Excited’, released three months later, failed to excite. In our first interview with her since last August, Anja looks back on the 12 months past, discusses the lessons she’s learned along the way and reveals her dreams for the future. But she begins by telling us that the year since her triumph on ‘The Voice’ stage has been “awesome”. “It’s been really busy,” Anja tells us. “It’s been good because I’ve had the chance to do a lot of different stuff and really develop as an artist. It feels like it’s been so short, but at the same time, it feels like a lot’s happened in the past year. It’s been a really good time. Given she was part of the inner workings of ‘The Voice’ machine last year, we ask Anja what it was like looking in on this year’s series. And she has plenty of advice for this year’s 16 year old winner Ellie Drennan. “Go out and have fun,” she says. “Make the most of the experience and do as much as possible. I’ve really tried to cram in a lot of stuff. Some things haven’t worked out the way I wanted them to, but that’s okay… it happens for a reason. I think it’s all about learning. As mentioned in the opening paragraph, things haven’t always gone Anja’s way in the chart department since her win on ‘The Voice’. Only one song, her recent cover of Cilla Black’s ‘Anyone Who Had A Heart’, has made it into the ARIA top 30. But far from being phased or disappointed by the lack of commercial success thus far, Anja remains optimistic that better times are to come. “I’m still only young – I’m only 19 – but I’ve got a really good support team around me. It’s hard still being so young, because I’m still learning about a lot of different things about the industry. “I guess you have to be very independent. I’ve always been like that, but I guess what I mean is that I know now that this is a job where you work with other people but you’ve got to be very confident in yourself and what you believe in as an artist. And that’s very hard when you’re still trying to figure out who you are. Now she has got a grip on the kind of artist she wants to be and the kind of music she wants to make, she’s gifted us her second original single, ‘Triumph’. Released a few weeks back to capitalise on its appearance in promos for this year’s season of ‘The Voice’, the song is a highly likeable mid-tempo pop number. “I was in the studio writing and I got a phone call from my A&R guy who said he had this amazing song that he thought would be perfect for me,” Anja explains. “He thought it would be really good for ‘The Voice’ promos too, because it’s lyrically quite similar to the theme of ‘The Voice’. “So I heard the song, I thought it was really cool and catchy, but I was still a little bit unsure because I didn’t write it and I wasn’t sure whether it was ‘me’ or not. But as soon as I got in the studio and sang it, I fell in love with it. It’s just so catchy and really positive. “I’ve just recently recorded the video for it and I’m really looking forward to that coming out, because it puts a different spin on the song. It’s not just a pop song – it’s got meaning to it. It’s light-hearted, but it also has a deeper meaning if you look into it,” she says. And for what comes next, there’s the small matter of her debut album of originals. But she says its release doesn’t hinge on the success of a single. Her former mentor Will.I.Am, however, has had no input into its creation. “He’s really busy at the moment. He was about to go on tour and he’s also doing his own album at the moment too. Last time I went into the studio, he was starting a whole new business too, so it’s pretty crazy and full on for him right now. Anja Nissen’s single ‘Triumph’ is out now. Work is almost finished on her new studio album. I think not having involvement from will.i.am is a good thing for Anja.